Amateur Record – 78W, 16L, 36KO’s. National Middleweight (165lbs.) Golden Gloves Champion – 1987. Won three State of Michigan Golden Gloves Championships. Won six District Golden Gloves Championships. Member of USA Gold Boxing Team versus Ireland, Russia and Cuba. Professional Record – 16W, 4L, 1Draw, 14KO’s. 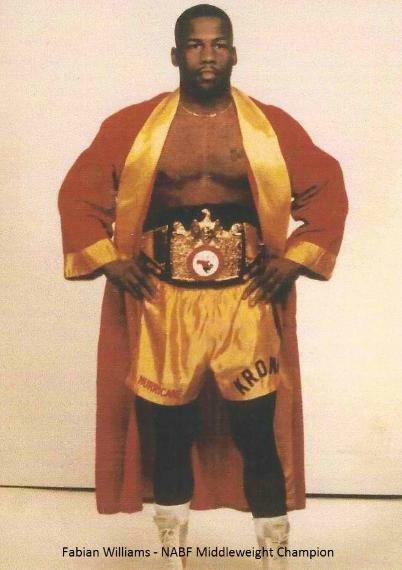 Won North American Boxing Federation (NABF) Middleweight Title with a TKO victory over Kevin Watts on 9/27/1990.